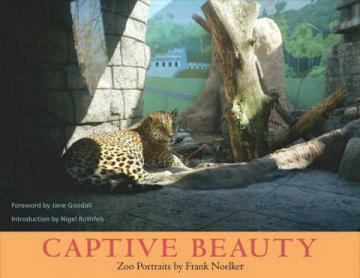 The fifty color photograph's in Frank Noelker's Captive Beauty are not simple, uncomplicated shots of animals in zoo settings; there is an ambivalence in them that only gradually envelops the viewer. Their sad, stark beauty confronts viewers, challenging them to consider the nature, purpose, and effects of zoos. "Frank Noelker's work makes a powerful statement. It is both beautiful and profoundly disturbing. He has captured, in this series of portraits, the very essence of the problem of zoos.... This book is not intended as an indictment against all zoos, but rather as a plea for greater understanding of the animal beings within them." The proceeds from this work will go to the Jane Goodall Institute for Wildlife Research, Education, and Conservation.